President Emmanuel Macron said France would launch a campaign to rebuild the cathedral, including through fundraising efforts and by appealing to "talents" from overseas to contribute. New Delhi: A massive fire consumed Notre-Dame Cathedral on Monday, gutting the roof of the Paris landmark and stunning France and the world, but firefighters managed to save the shell of the stone structure and its two main bell towers from collapse. Flames that began in the early evening burst rapidly through the roof of the eight centuries-old cathedral and engulfed the spire, which toppled, quickly followed by the entire roof. 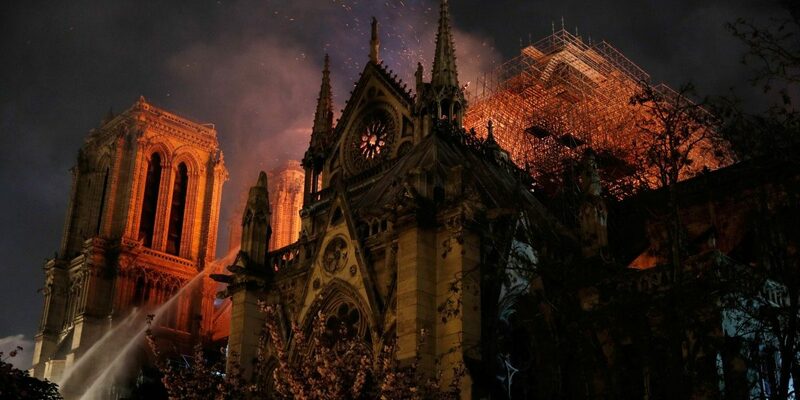 As it burned into the evening, firefighters battled to prevent one of the main bell towers from collapsing and tried to rescue religious relics and priceless artwork. One firefighter was seriously injured – the only reported casualty. France 24 reported that the “roof has entirely collapsed, there are flames coming out the back of the cathedral as if it was a torch”. “The worst has been avoided, even if the battle has not been totally won yet,” French President Emmanuel Macron told reporters at the scene shortly before midnight, as firefighters worked to further cool some of the interior structures still at risk of collapse. Macron said France would launch a campaign to rebuild the cathedral, including through fundraising efforts and by appealing to “talents” from overseas to contribute. “We will rebuild it together. It will undoubtedly be part of French destiny and our project for the years to come,” a visibly moved Macron said. 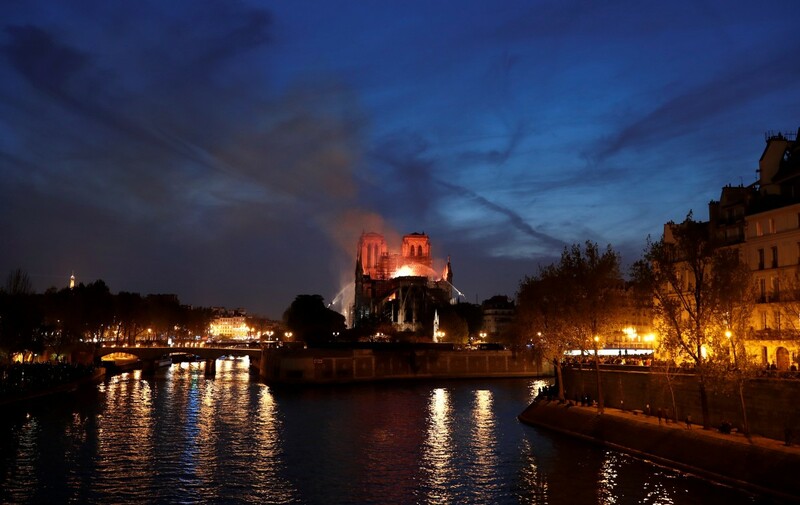 Paris fire chief Jean-Claude Gallet said the cathedral’s main structure had now been saved from complete destruction. The cathedral, which dates back to the 12th century and is famous for featuring in Victor Hugo’s classic novel the Hunchback of Notre-Dame, attracts millions of tourists every year. “A terrible fire is underway at Notre-Dame Cathedral in Paris,” Mayor Anne Hidalgo said on Twitter. Distraught Parisians and stunned tourists gazed in disbelief as the inferno raged at the cathedral, which sits on the Ile de la Cite, an island in the River Seine and marks the very centre of Paris. Thousands of onlookers lined bridges over the Seine and along its embankments, held at a distance by a police cordon. Some sang Ave Maria, with others in the crowd also kneeling and praying. 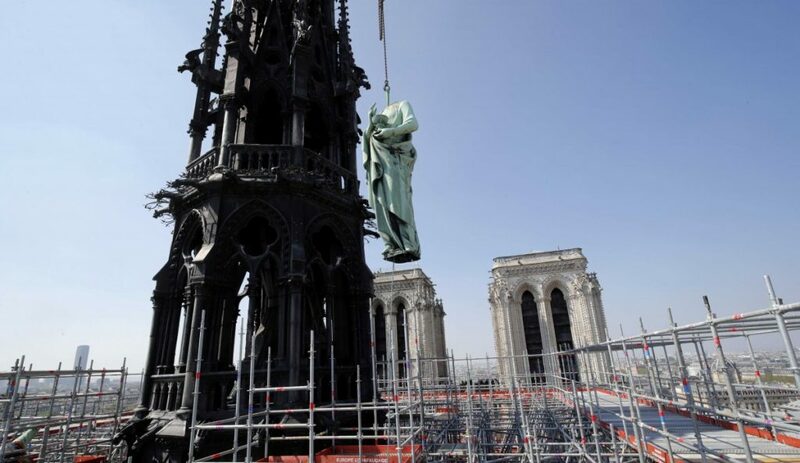 Notre-Dame was in the midst of renovations, with some sections under scaffolding, while bronze statues were removed last week for works. French president Emmanuel Macron tweeted about the fire, calling it an emotional moment for the whole nation. “Thought for all Catholics and for all French. Like all our compatriots, I am sad tonight to see this part of us burn,” he wrote. Macron cancelled an address to the nation that he had been due to give on Monday evening in a bid to answer a wave of street protests that has rocked his presidency. Instead he went to the scene of the blaze with his wife Brigitte and some of his ministers. He thanked and congratulated emergency services and firefighters. World leaders expressed shock and sent condolences to the French people. A huge plume of smoke wafted across the city and ash fell over a large area. People watching gasped as the spire folded over onto itself and fell into the inferno. Firefighters battled smoke and falling drops of molten lead as they tried to rescue some of Notre-Dame’s treasures. A centuries-old crown of thorns made from reeds and gold and the tunic worn by Saint Louis, a 13th century king of France, were saved, Notre-Dame’s top administrative cleric, Monsignor Patrick Chauvet said. But firefighters had struggled to take down some of the large paintings in time, he said. The Paris prosecutor’s office said it had launched an inquiry into the fire. Several police sources said that they were working on the assumption for now that it was accidental. The French Civil Security service, possibly responding to US President Donald Trump’s suggestion that firefighters “act quickly” and employ flying water tankers, said that was not an option as it might destroy the entire building. German Chancellor Angela Merkel called the cathedral a “symbol of France and our European culture”. British Prime Minister Theresa May said her thoughts were with the French people and emergency services fighting the “terrible blaze”. The Vatican said the fire at the “symbol of Christianity in France and in the world” had caused shock and sadness and said it was praying for the firefighters. The mayor of Paris, Anne Hidalgo, said at the scene that some of many artworks that were in the cathedral had been taken out and were being put in safe storage. The cathedral, which dates back to the 12th century, features in Victor Hugo’s classic novel “The Hunchback of Notre-Dame”. It is a UNESCO World Heritage site that attracts millions of tourists every year. 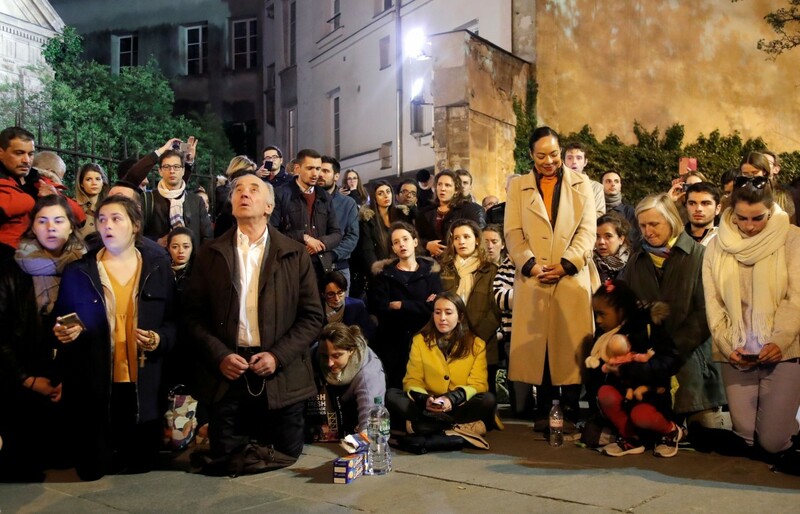 The archbishop of Paris called on all priests in Paris to ring church bells as a gesture of solidarity forNotre-Dame. “I have a lot of friends who live abroad and every time they come I tell them to go to Notre-Dame,” said witness Samantha Silva, with tears in her eyes. Its 100-metre-long (330-foot) roof, of which a large section was consumed in the first hour of the blaze, was one of the oldest such structures in Paris, according to the cathedral’s website. A centre of Roman Catholic faith, over the centuries Notre-Dame has also been a target of political upheaval. It was ransacked by rioting Protestant Huguenots in the 16th century, pillaged again during the French Revolution of the 1790s and left in a state of semi-neglect. Hugo’s 1831 work led to revived interest in the cathedral and a major – partly botched – restoration that began in 1844. The wood-and-lead spire was built during that restoration, according to the cathedral’s website.